The site of the accident. The coroner’s office identified the victim of yesterday’s industrial accident as 64-year-old Mike Vander Veen of Forest Hill, California. The cause of death appears to be accidental electrocution, according to the office, and an autopsy is scheduled for Jan. 8. Deputy Coroner Trevor Enright declined to say who Vander Veen was working for, citing an ongoing California Occupational Safety and Health Administration investigation. 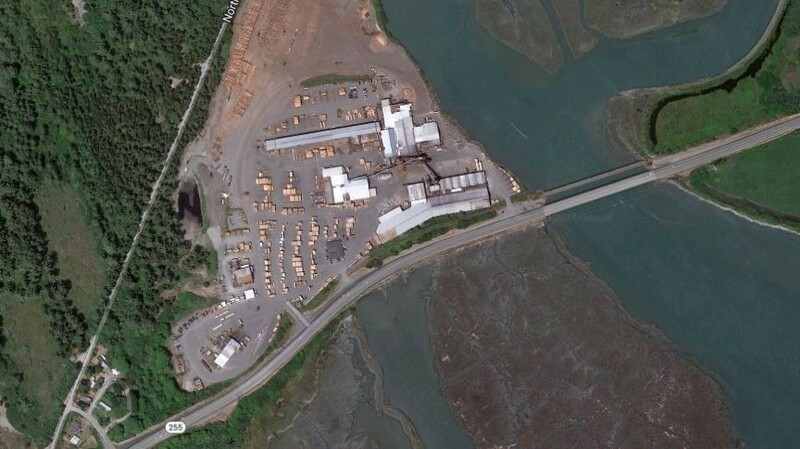 A 64-year-old contract worker was killed this morning when his boom lift apparently came into contact with a high voltage line at an Arcata mill. The victim will not be identified until his next of kin has been notified. The mill, OSHA, PG&E and emergency responders are investigating the accident. It's unclear who the victim was working for at the time of the accident. Manila, CA- (January 6, 2015)- At approximately 9:00 this morning, Arcata Fire District and Arcata-Mad River Ambulance were dispatched to 2593 New Navy Base Road for an industrial accident involving a possible electrocution. While responding to the scene, emergency personnel received further information indicating that there was a patient in the basket of a boom truck and he may have come in contact with a high-voltage power line. Arcata Fire crews found the basket approximately 25 feet in the air with the patient unconscious in the basket. The boom was not in contact with the overhead electric transmission lines but was within inches of the lines. Firefighters immediately started coordinating with workers on scene to drain the hydraulic fluid of the boom to lower the basket and make access to the patient. After moving stacks of stock out of the way, they were able to lower the basket to the ground and paramedics determined that the man was dead. 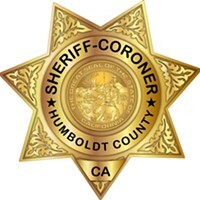 Arcata Fire District is currently coordinating with the Humboldt County Sheriff’s Department, OSHA, PG&E and the mill management on this investigation. The name of the victim is not being released at this time pending notification of next of kin. Arcata Fire responded with two Chief Officers, one engine and one truck. Humboldt Bay Fire provided one Chief Officer and one engine to help cover the fire district. This tragic incident serves as a reminder to everyone to be careful whenever working around power lines. Remember to look up, down and all around when working near power lines and if you see downed power lines, never touch them. On Tuesday, January 6, 2015, at about 9:15 AM, the Sheriff’s Office received a call for service regarding an industrial accident that had occurred at the Emerson Mill, located at 2593 Hwy 255, near Arcata. Sheriff’s Deputies responded to the scene, along with Arcata Fire, and PG&E personnel. Once on scene, Deputies met with on-site Safety Personnel, and learned a 64 year old man had been fatally injured in the industrial accident. The victim was a Contractor, who was conducting tests and repairs on equipment at the facility. It was reported the man was operating a boom lift, and may have come into contact with a power line. Cal/OSHA was notified, and will be responding to the scene. The investigation was turned over to the Coroner’s Office. The name of the man will not be released until next of kin has been notified.